Described as yet another knock-off of Gears of War 2's Horde mode, the four-player Firefight mode in Halo 3: ODST looks to follow in the footsteps of Call of Duty: World at War, Left 4 Dead, and more top-tier shooter games that use co-op survival scenarios to extend their replay value. Gaming Nexus was able to get some hands-on time with Halo 3: ODST, and more importantly: Firefight. The Fire Fight mode is going to remind a lot of people of the horde mode from Gears of War 2. Both modes have four players [editor's note: this is slightly incorrect, as Gears 2 allows five players] killing continuously spawns enemies within a set level but that's where the similarities end. The fire fight mode is different in that you respawn when you die and each round has a set number of re-spawns for the entire group before the round ends. You also can't bring back mortally wounded comrades as death is fairly quick in Fire Fight. Hopeful though I may be for iron sights, it seems like Halo 3: ODST is going to pretty much continue the archaic formula that keeps the Halo series at the top of the Top Ten list every week, especially given the lack of ability to 'revive' co-op partners. And that's a good thing! There's nothing wrong with Halo 3; in fact, it's a solid shooter with tons of opportunity for great moments in gaming. It's not my particular favorite, but as a co-op game, it's pretty much golden. 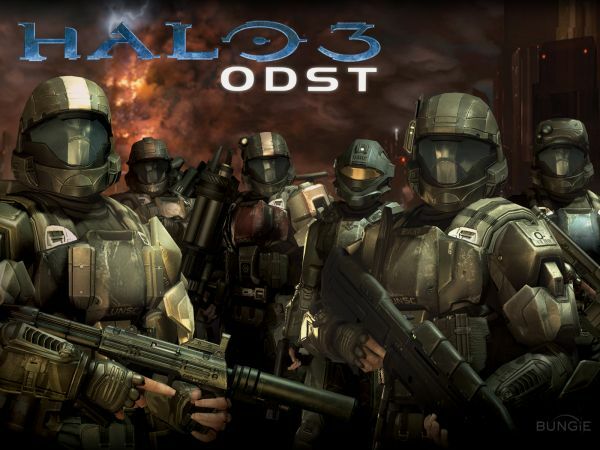 You can bet that Halo 3: ODST will be on my shelf this September. I also quickly learned that they will start to focus on the greatest threat to them first so if one player starts to dominate the map the Covenant are going to focus on taking him down first. I'm not sure how I feel about this yet. On one hand, the Mario Kart games intentionally gimp the lead racer, and that's not really fair, although it exists for balance purposes. On the other hand, Army of Two showed us that attracting enemy attention could be used as a simple strategy. We'll keep bringing you more Halo coverage as we scan the hotsheets for the latest E3 info!